Proclamation - World Autism Awareness Day. SECOND READ - Ordinance to Amend the 2012 Operating Budgets. Amendment of City Position Allocation and Compensation Chart Related to the Public Works Director Position. "Note: I will be asking for this to be taken off the Consent Agenda so that Hensley Drive, Mt. Vernon Way and possibly the next item on the list which is a small section on Womack be added to the 2013 plans for construction. These pedestrian safety items are being requested and I believe a portion of the funds originally budgeted for the roundabout could be diverted as it will not be going forward this year as it is still under technical review. Immediately following that item as it is related to sidewalks, I have been talking to the Public Works Director and for speed and efficiency, he is requesting that an outside traffic engineering consultant be hired for formal analysis of all non-signalized crosswalks & school zones so a professional non-biased list of improvements needed at each can be developed. As this work can be done under the financial threshold for council approval, I just want to raise it to make sure the Council is in agreement that this is the best way foreword so that the staff has clear direction. The first day of school is August 5th." Award of Design Contract for Mount Vernon/Vermack Intersection Improvement. Approval of Georgia Emergency Management Agency Grant. SECOND READ: Ordinance to Amend Chapter 2, Administration, Article VIII, Ethics. Resolution to Extend the Ethics Ordinance Moratorium - 90 days. 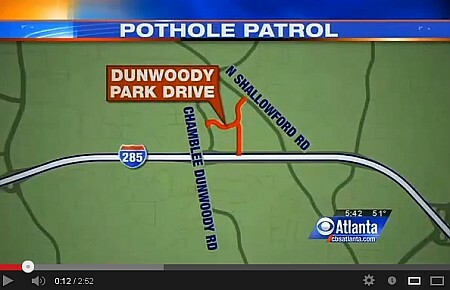 CBSAtlanta Pothole Patrol proclaims City of Dunwoody does the perfect pothole repair. Pothole work orders and most corrective repair requests can be made easily by residents on the See Click Fix system and I fully encourage its use for road repair, sign replacements, traffic signals, code enforcement and right of way maintenance. There are even apps available for your smart phone to submit photos and GIS information of the issue. 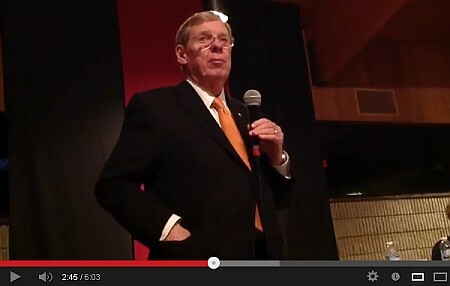 Senator Johnny Isakson gives Dunwoody an update on Federal Budget, Healthcare, Benghazi and a possible magic year for long term financial change. Video of questions - Cyprus bailout, social security age, magic year for financial change, medicare premiums, fair tax, corporate tax reform (repeal loopholes, lower rate), underemployment rate, affordable healthcare act implementation by small businesses, off budget items, veteran benefit backlog 438 days, fixing SSI & medicare. The All Saints Men`s Club Presents an event for the Entire Community. 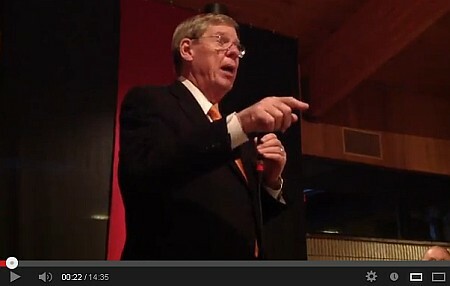 An Evening With US Senator Johnny Isakson Tuesday March 26th! 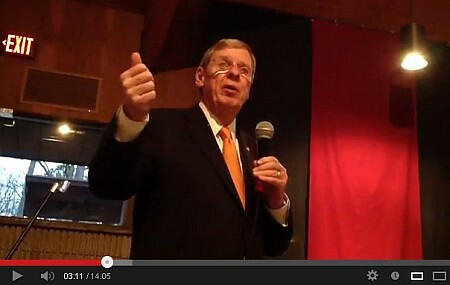 Johnny Isakson is a businessman, a public servant and family man whose conservative, thoughtful and independent approach have made him a leader in Georgia for over 30 years. Tickets for the event are $12.00, you can purchase them in advance online through our secure PayPal account. Reservations and ticket sales will close Sunday March 24th at: 9:00pm. Reservations and ticket sales will close Sunday March 24th at: 9:00pm. 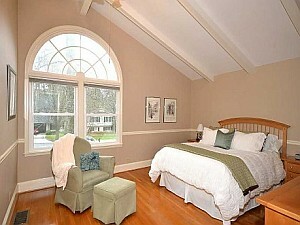 Dunwoody real estate prices are moving up as demand rises, check list of all homes available. The information below from my good friend Bob Fiscella and I am always happy to share good financial information as well his informative lists of what houses are on the Dunwoody market. I have referred a number of friends to Bob and will happily do so again. Someone asked me this weekend, "so, how is the (real estate) market?" For almost five straight years I would answer "fantastic" as I tried to stay positive. Fact of the matter is, and as most of us know, the Dunwoody market, like the rest of metro Atlanta, struggled mightily. Prices reached their peek in the summer of 2007, and had been on a steady decline. However, the first quarter of 2013 bears all positive news. I'm a big believer in statistics, and the stats for the first three months of 2013 compared with 2012, are all improvements. Again, this is something we couldn't say the last five-plus years. From January 1 through March 1 of 2012, a total of 35 single-family homes sold in Dunwoody (30338, 30360). The average list price was $349,000. The average sales price was $331,000. The average days-on-market was 146. From January 1 through March 1 of 2013, a total of 43 single-family homes sold in Dunwoody (30338, 30360). The average list price was $360,000. The average sales price was $349,000. The average days-on-market was 114. That's an increase of 5.2 percent sales price, in 32 less days. In normal market conditions, a homeowner can expect a 4-to-5 percent increase in their home value from year-to-year. All the signs are good. Currently, there are 78 active listings in Dunwoody, ranging in price from $924,900 to $215,000. There are 58 other homes under contract (an excellent ratio of active listings to pending listings). To view any of the active listings, click on the first link below (that includes my newest listing at 4868 Mill Brook Dr. in Springfield. For more information on this home, click on the photo above). To view these listings as a line item report, click on the 2nd link. If you wish to view any of these homes, please contact me bobfiscella@kw.com or 404-644-5220. One of our Dunwoody Police officers stopped to talk with a veteran who was observed soliciting on the side of the roadway. 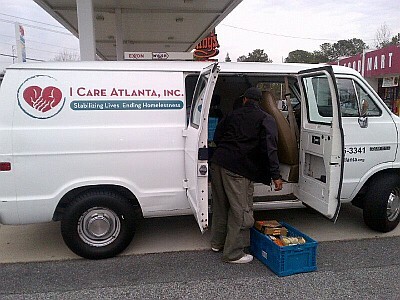 It just so happened that an "I Care Atlanta" van was driving by and its driver offered to help. The gentlemen received a large box of food to tide him over until other services could be contacted. I Care Atlanta have been wonderful community partners for the Dunwoody Police. 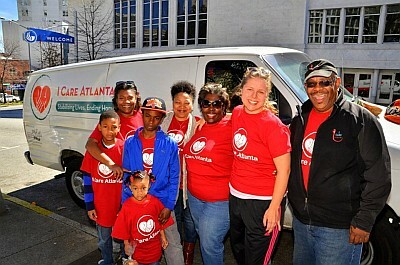 Thank You…I CARE ATLANTA and great timing! In case you are not aware of I Care Atlanta, it is the charity previously known as My Brothers Keeper Reaching Out but rebranded under a new name that wasn't shared with other organizations. 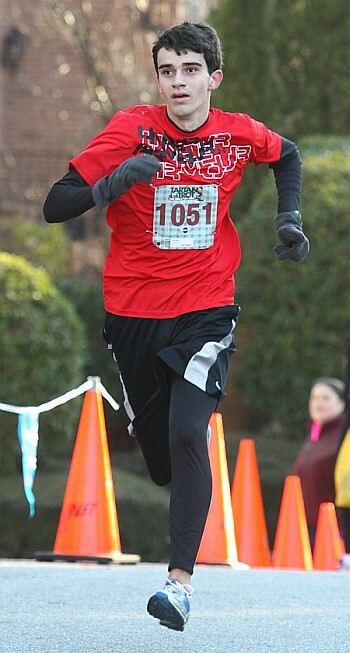 It is run by a Dunwoody resident Mr. Anthony Delgado whom I have highlighted previously. Please like the I Care facebook page to learn more and learn about volunteer opportunities. Faced with stormwater and erosion control challenges at its rain garden, the Dunwoody Nature Center needed to look only two miles away for a community-minded solution. Dunwoody-based Oldcastle, Inc., provided the Nature Center with enhancements to its rain garden and a new retaining wall, built from the company’s Belgard® hardscape product, along with a team of Oldcastle employee volunteers to install it. A team of volunteers from Oldcastle, the Nature Center and the City of Dunwoody helped setup, construct and host a dedication ceremony for the enhanced rain garden and new Belgard retaining wall. The new retaining wall will help control stormwater runoff allowing for slower percolation of the water in the rain garden before it gradually drains into Wildcat Creek. Oldcastle is North America’s largest manufacturer of building products and materials; the company strives to be an engaged partner in the communities where it operates and emphasizes environmental responsibility. The company reached out to the Nature Center to offer a creative solution that would incorporate its products and give employees an opportunity to give back to the community that Oldcastle headquarters calls home. The rain garden was created in August 2012 as a tool for teaching the community and a way to collect and control stormwater runoff. Unfortunately, heavy rainfall last fall and winter caused stormwater to spillover and erode the original barrier. New little kid water park? I saw the blurb below in the Atlanta Business Chronicle and know I will be visiting this summer with my little guy therefore thought I would share. 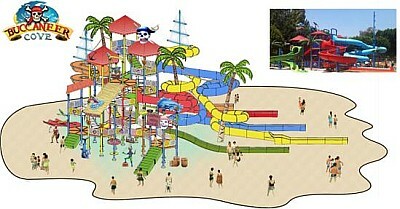 Malibu Grand Prix in Norcross, Ga., closed its Grand Prix track and will replace it Memorial Day Weekend with a new water play structure called Buccaneer Cove. The water park will include five water slides, wet water tunnels, interactive aqua domes, spray cannons, spray loops and cylinder spray fountains. Semi-private cabanas with food service will be available for all day rental at an additional fee. In case you are interested, my favorite "indoor water park" which not only works well on cold days but also in the rain is the Bethesda Park Aquatic Center in Gwinnett County. FYI, there are extended hours next week for Spring Break. Lockers are free but bring a few quarters to obtain the key as they don't carry much change on site. On a related note, thank you to Dunwoody's very own Jennifer Leslie who seems to be the driving force behind so many positive stories in this community. Besides being an Emmy Award winning journalist with a big heart, Jennifer is a social media maven whom I consider a must follow as she is truly a goodwill ambassador for our city. Thank you Jennifer for all you do!!! 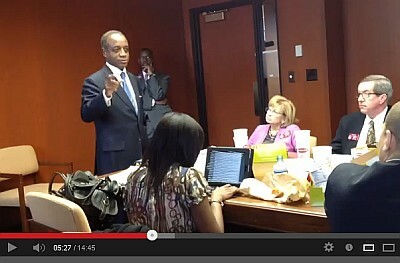 Interim Superintendent, DeKalb County School District, Michael Thurmond addressed the DeKalb Delegation of the State Legislature on Monday and I had the pleasure of being in attendance to video the first 15 minutes. At the 9 minute mark, State Senator Fran Miller asked about the possibility of Charter Cluster control and Mr. Thurmond said that currently one person is running 104 schools and that regional superintendents need to be able to make more decisions. He stated that he was working on that very item in the morning and I swear he came very close to almost saying, "Local control, close to home". As I sometimes use this blog as my own personal journal whereby I can later find historical items from my past, please indulge me to post the family recipe for Irish Soda Bread. Thank you to my sister Kathleen for forwarding as it uses sour cream instead of buttermilk and is not as dry as traditional Irish Soda Bread. Add raisins 1 ½ cup (dark and golden) you may add more if you like extra raisins. 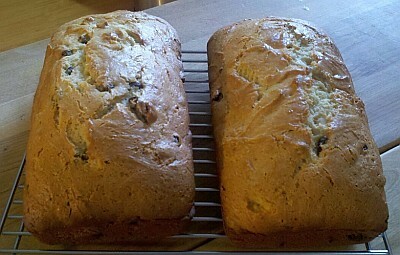 Incorporate the raisins with your hand, separating them so they are dispersed in the flour/dry ingredients. Pour the buttermilk, eggs & butter into the larger bowl of flour & raisins. Mix with a spoon until the flour is all incorporated. Place in a greased loaf pan, 350 degree oven for approximately 1 hour, check with toothpick (if it comes out clean the bread is done) up to 1 hour 10 minutes. 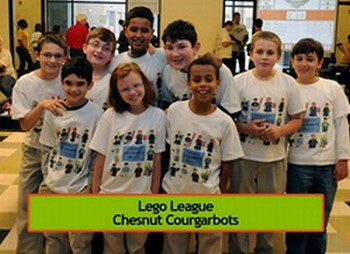 Chesnut Elementary children ask Dunwoody Senior's to take a walk - Saturday March 16, 2013 - 10 a.m.
Join the Chesnut Charter Elementary First Lego League team and their Active Seniors Initiative! Seniors in the area and participants of all ages are encouraged to meet students on March 16 in front of Chesnut Charter (4576 N. Peachtree Road) at 10:00 a.m. for a one-mile walk through the Dunwoody North neighborhood. 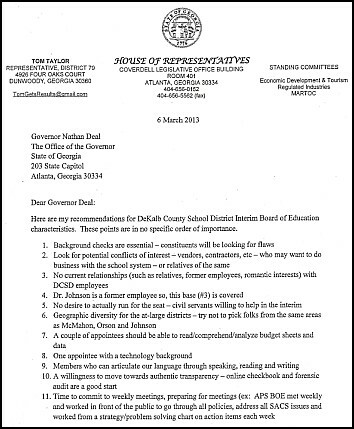 Rep. Tom Taylor made 28 recommendations to the Gov on the DeKalb County Interim Board of Education characteristics he wanted to see. Tom Taylor's thoughts on new board and applicant scoring rubric. Here are my recommendations for DeKalb County School District Interim Board of Education characteristics. These points are in no specific order of importance. Knowing that the entire state and possibly the country will be paying close attention to this entire process the need for getting it right should override the need for speed in determining the interim board. Every decision, from this point forward, from the Gold Dome to the DCSD Boardroom should be determined to insure stability and confidence, especially with our students who are counting on us to educate them in a safe, nurturing, and well-equipped environment. Highly effective DCSD BOE governance will, at all times, keep the classroom as the focus. Thank you for all you do every day, as Governor, for our children's education. Representative Taylor addressed the Dunwoody City Council on Monday evening where he submitted into the minutes the form shown above, regarding his recommendations on the future characteristics he would like to see shown by the future DeKalb County School Board. After a complete update, the City Council informally agreed that the City of Dunwoody may spend up to $50,000 to finance a study of the feasibility of operating a city school system. 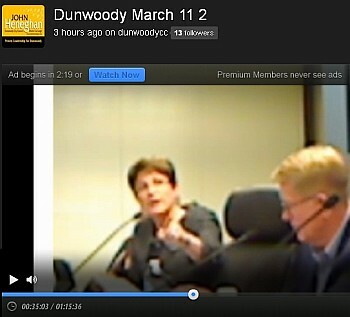 Dunwoody Council discusses DeKalb Schools, transportation safety and ethics. 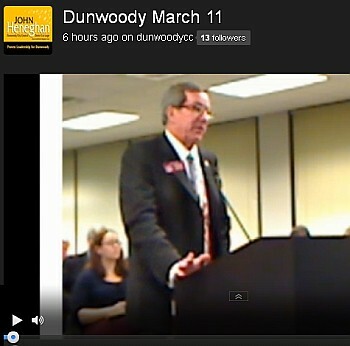 Long night at the Dunwoody City Council, started at 6 and ended about Midnight. We honored Dunwoody School Crossing Guards, discussed Dunwoody Schools, convention and visitors bureau budget, city staffing, paving, sidewalks, transportation safety around schools and ethics. Plans for Dunwoody's next new hotel to be discussed on Thursday and an update on the zoning rewrite. On March 14th the Dunwoody Community Council will be meeting to do the initial public review of a proposed rezoning and Special Land Use Permit to construct a six story hotel, coffee shop, several retail shops and restaurant on Ashford Dunwoody Rd at Perimeter Center North on the Sterling Point office complex which located directly across the street from the California Pizza Kitchen. After review by the Community Council, the Planning Commission will hear this in April and finally it will be brought before the City Council, most likely in May. 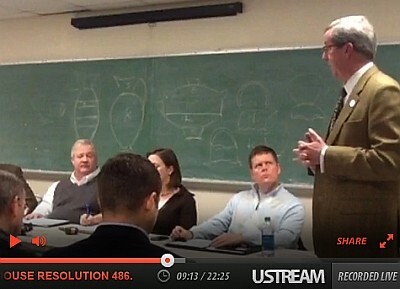 On a semi related item, I watched the video of last weeks Zoning Board of Appeals meeting where Steve Dush gave an interesting overview of the last zoning code rewrite meeting where they were discussing Module 4 which included the topics of stream buffers and tree preservation on single family residential lots. The Dunwoody Homeowners Association is hosting a public meeting with DeKalb County School System Superintendent Michael Thurmond. Join and share this event on facebook. I am currently in the process of starting my Eagle Scout project. 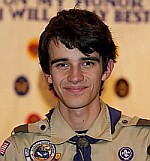 Eagle Scout is one of the highest ranks that can be attained in Boy Scouts. As a Scout with Troop 434, chartered by All Saints Catholic Church, my Eagle Scout Project will be building a new 8x12 track storage shed for Dunwoody High School. There is a great need for this project. Currently, the track and cross country teams have to share a small allotment of space for their equipment, (tents, hurdles, timing devices, ice baths, etc.) in the Football storage shed. Several remote locations throughout the school are also used to store equipment. My project would allow the track and cross country equipment to be consolidated in one convenient location adjacent to the track. building the shed is funding. The projected materials cost of the shed is $2,000. Achieving the rank of Eagle Scout means a lot to me and the project will greatly benefit the track and field, and cross country programs at DHS. Thank you for considering donating to my Eagle Scout Project. I am planning to have all funding secured by March 30th. If you have any questions or comments about my Eagle Project, please feel free to contact me at 770-391-9775 or email me at BATiede@gmail.com I would be more than happy to answer any questions you may have about my project. Your contribution is valued. 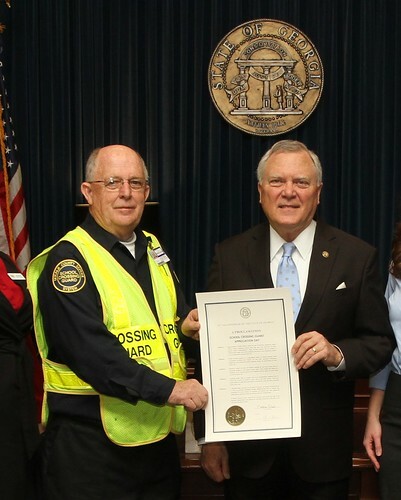 Proclamation - Recognition of School Crossing Guards. Minutes of the February 20, 2013 City Council Special Called Meeting - retreat. Ordinance to Authorize the Lease of a Fire Station to DeKalb County. Ordinance to Authorize Transfer of the Water Tower Property to DeKalb County. Ordinance to Authorize the Lease of the Dunwoody Library to DeKalb County. 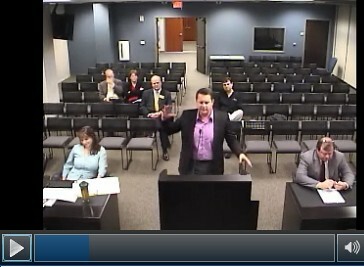 Presentation of CVBD 2012 Year-End Report. 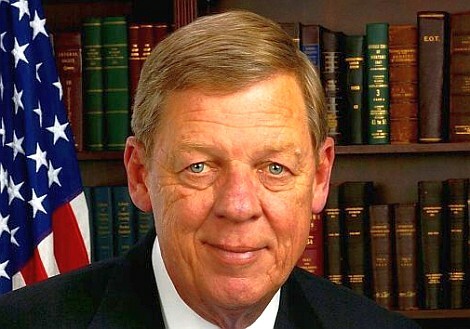 Ordinance to Amend the 2012 Operating Budgets. Discussion of Amendment of City Position Allocation and Compensation Chart Related to the Public Works Director Position. Discussion of Sidewalk Improvement Plan Update. Discussion of 2013 Paving Plans. Discussion of Design Contract for Mount Vernon/Vermack Intersection Improvement. Discussion of Funding of the H.R. 486 Feasibility and Impact Study. Ordinance to Amend Chapter 2, Administration, Article VIII, Ethics. Thank You Nancy Jester !!! “I am writing today to express my gratitude and sincere thanks for the opportunity to serve you during the last two years. Please know how much I appreciate your supportive words, calls and prayers. I am proud of the work I did to expose the deceptive budgeting practices and bring a parent’s perspective to the board. Please go to whatsupwiththat.nancyjester.com to read the rest of Nancy’s statement. It’s too bad for DeKalb’s children that she wasn’t allowed to finish. 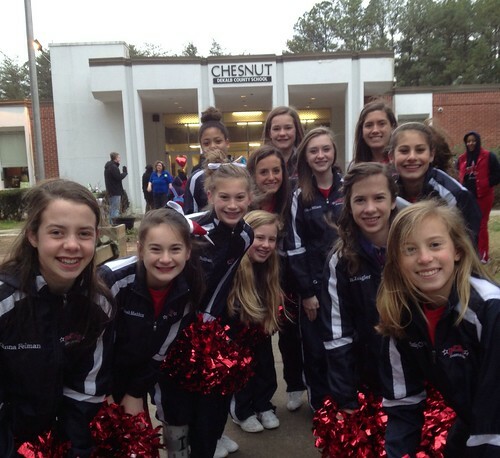 Thank you to the PCMS Cheerleaders for welcoming Chesnut students on GA Walk to School Day. These lovely ladies cheered for about an hour this blustery morning welcoming the Chesnut walkers. Kudos ladies, you represented your school very well. 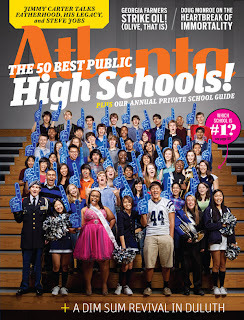 Wednesday - Let's say thank you to everyone in and around our Dunwoody schools. 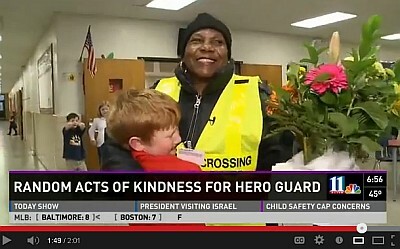 Please find a way to thank our Crossing Guards, the Teachers, Paras, Librarians, Specialists, Principals, Lunch Ladies and even the Janitors at our children's schools because each of them have a role in educating our children. Below was lifted from Dunwoody Mom. At Sunday's Public Forum 2 DCSS teachers spoke and, while we all know the issues they have faced, pay cuts, larger class sizes, furlough days, 2 faces were put to those frustrations yesterday. I further realized how deeply they have been affected emotionally by the actions of the Central Office Administration and DeKalb School Board. The following was sent out to the Kingsley Charter Elementary community last night, but I am hoping the parents of all our schools will take the same action. It's not Teacher Appreciation Week. It doesn't have to be. Let's not forget our teachers and administration during this time of turmoil and uncertainty at the county level. 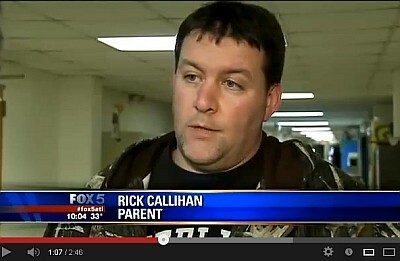 Teachers needs to hear from parents. Teachers need to know how much they are appreciated. Teachers are doing more with less and on salaries that haven't seen increases in six years. 1. Write a note to your child's teacher letting them know what a difference they are making in your child's life. 2. Write a note to your child's teacher LAST year. Let them know how they've paved the way for them. 3. Write notes to other teachers that your child has experienced through specials, Discovery, art, music, etc. Finally a related thought to share. I love this story! Obviously, the janitor understood the importance of his contribution. He truly felt he was a valuable part of something bigger than himself, and his attitude created a feeling of self-confidence in his mission. He wasn’t merely a janitor, he was a member of the 1962 NASA Space Team! It is so easy to become caught up in our ordinary, unimaginative lives. To believe that our seemingly endless repetitive actions are meaningless disjointed pieces. To be so exhausted from the routine of “right now,” that we’re unable to see that our efforts have long term consequences. It makes no difference what “small tasks” you signed up for today. You . . . are . . . significant! 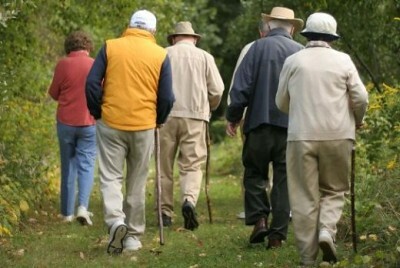 Your life has purpose beyond walking the dog, preparing breakfast, raking leaves, and watching television. You have lives to impact. You can look at today as a another throw-a-way unimportant waste of trivial activity OR you can decide to be part of something bigger than yourself — a project that reaches far into the future and impacts people you may never meet. You can choose to sweep the floor . . . or be part of the space mission putting a man on the moon. You can teach a class . . . or impact the next generation. Shuttle kids to practice . . . or create opportunities for young people to excel. Support a charity . . . or help eliminate hunger in Central America. Recycle the paper . . . or save the planet. add up to big differences that we often cannot foresee. What are you going to do today? Why not help put a man on the moon? 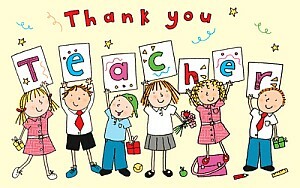 Why not thank those who do so much to educate our children? Mission: Explore options for improving public education in Dunwoody and to educate the residents of Dunwoody on these options. Steering Committee: Claire Botsch, Deb Cameron, Gil Hearn, Allegra Johnson, Donna Cannady Nall, Rick Otness, Heyward Wescott, and Robert Wittenstein. Dunwoody Farmer Bob, aka Bob Lundsten shot some nice video of Tom Taylor explaining his bill for creating new school systems in GA.
As a Director on the DHA, Farmer Bob stayed for the final board only discussions (I departed as I am not a formal board member) where he reports that the DHA voted unanimously to donate $5,000 to the 501c3 that is raising money to gather the information and fund the CVI study to examine the subject. Look for a quick discussion and vote thereafter by the Dunwoody City Council also funding a portion of the study for the possibility of a different school governance model than we currently have in place. Sunday: Two important meetings on Education in Dunwoody. 4:00 and 7:30 p.m.
Everyone wants quality educational services with in our community. How do we get there? Best long term solution? 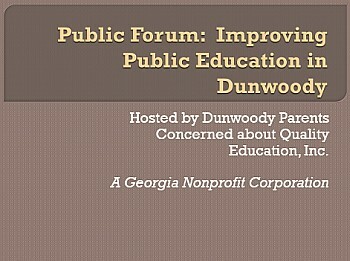 Dunwoody Parents Concerned about Quality Education, Inc.
Dunwoody residents interested in improving the quality of education in Dunwoody schools will share information on accreditation, legislative efforts, alternatives to the current public school district, and potential actions. The presentation will feature representatives from city and state government, local public education advocates, and a discussion session for participants to share their ideas and concerns. Parents, city leaders and members of the business community are expected at a meeting Sunday afternoon to discuss the future of their schools. Less than five years after becoming a city, some want to know why they can't create an independent school district for Dunwoody. Stacey Harris is the President of the Dunwoody Homeowners' Association and said many in the city are worried about the ongoing problems with the DeKalb County School District. "One reason Dunwoody pursued cityhood was because we were dissatisfied with the services we were receiving from the county. The same thing applies to our school system," said Harris. Harris and others have formed the Dunwoody Parents Concerned About Quality Education and are meeting Sunday at 4:00pm at the Kingswood United Methodist Church. 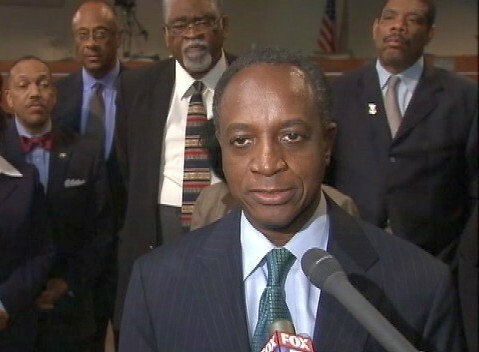 After watching the Southern Association of Colleges and Schools put the Dekalb County school system on probation and six ousted board members sue to keep their jobs they worry about the future of their childrens' education. Parent Allegra Johnson said she was frustrated well before a scathing SACS report was released last December. "For years, money that was supposed to be going to benefit our teachers to help them teach our kids has been spent on things, like lawsuits, that have nothing to do with our kids," said Johnson. Representative Tom Taylor has backed House Bill 486 that would allow municipalities formed after 2005 create their own independent school districts. However, that would require amending the state constitution. "We know it will be an uphill battle. It could take years, but as more people are opting for smaller, locally run cities why shouldn't their school districts be run the same way," asked Harris.